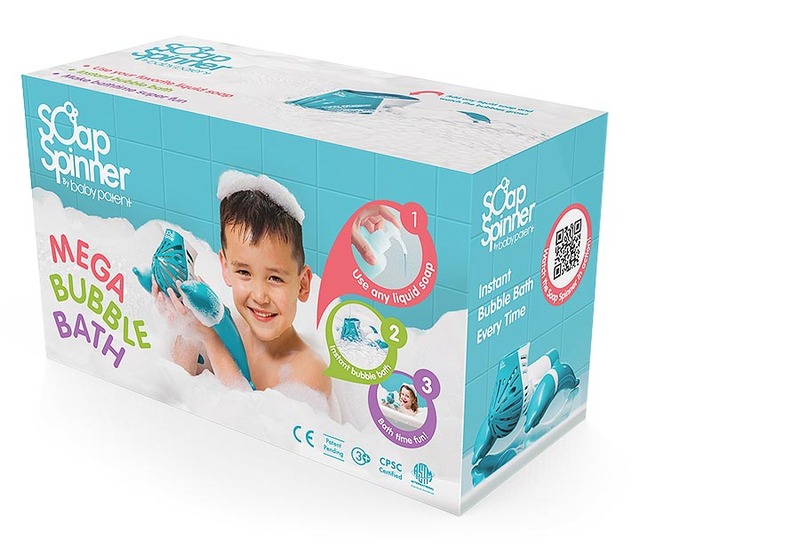 The Soap Spinner is the first toy of its kind that turns your child’s bath instantly into a MEGA Bubble Bath. The revolutionary technology works with any liquid soap to instantly create long-lasting bubbles throughout the entire bath. The Soap Spinner is completely safe with CPSC & ASTM certification. +What Age is the Soap Spinner Suitable For? +What kind of soap is required for the Soap Spinner to make MEGA bath bubbles? +How long does it take for the Soap Spinner to produce MEGA bubbles in the bath? +How many batteries are required by the Soap Spinner? +Does the Soap Spinner come with a warranty?